I registered only to answer the question of The OP. 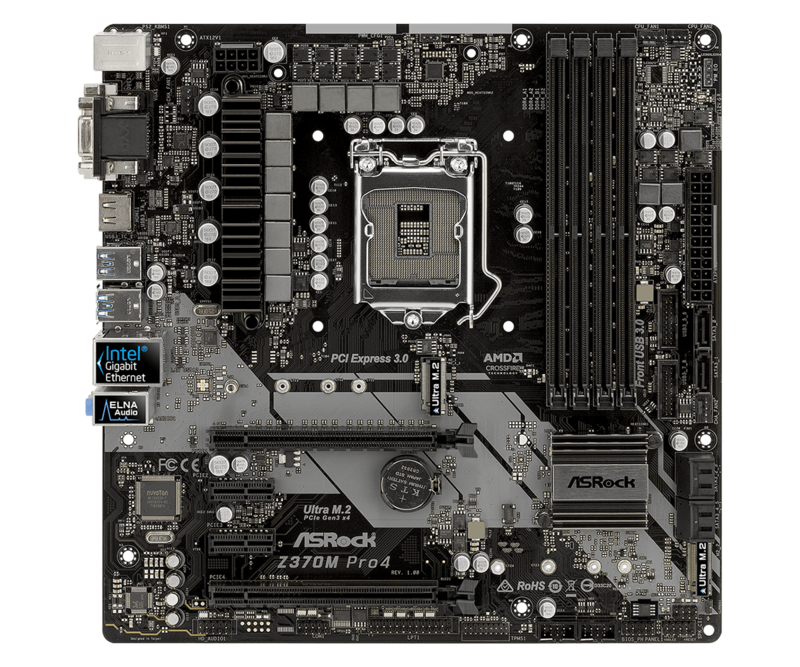 ON that board (as with many other budget boards) ASRock uses a 4+3 phase design. ASRock doubles the number of power stage components on the CPU VCore rails to get eight phases. So, two low side and two high side mosfets (removing the mosfets heat sink would help on that matter) and double the inductors. The remaining three phases are for the IGP. I understand why there's so much vdrop. Plus the top ones don't heat up, it looks like they're not even activated. Furthermore, why are those top mosfets not heatsinked? This is especially concerning because the motherboard has been designed to accommodate a heatsink for those fets as there are through-hole mounting points there labeled "MOS_HEATSINK2"
The VRM implementation on this board is provided by the ISL95856 "4+3 Multiphase PWM Regulator"
The marketing statement on the ASRock page for the z370m pro4 states "10 Power Phase design"
How, might you wonder, does a 4+3 controller produce 10 distinct phases? I wondered, and pulled out my DMM on continuity mode. In reality, what appear to be 11 chokes around the z370m pro4 socket, are 6 chokes. Ten of the chokes are configured in parallel pairs of two chokes, making a total of five phases plus the one remaining which I assume is for VTT. What is more awkward is that the totem-pole mosfets are configured in quads. Paralleled lower-quality SM4336N mosfets act as the upper mosfet of the totem, and two paralleled higher-quality SM4337N mosfets act as the lower mosfet of the totem. ASRock, please explain the marketing. I was convinced that this would be 10 distinct power phases. I am not comfortable overclocking on something which is - in reality - 3+2, or 3 phases for the processor, 2 for the iGP.